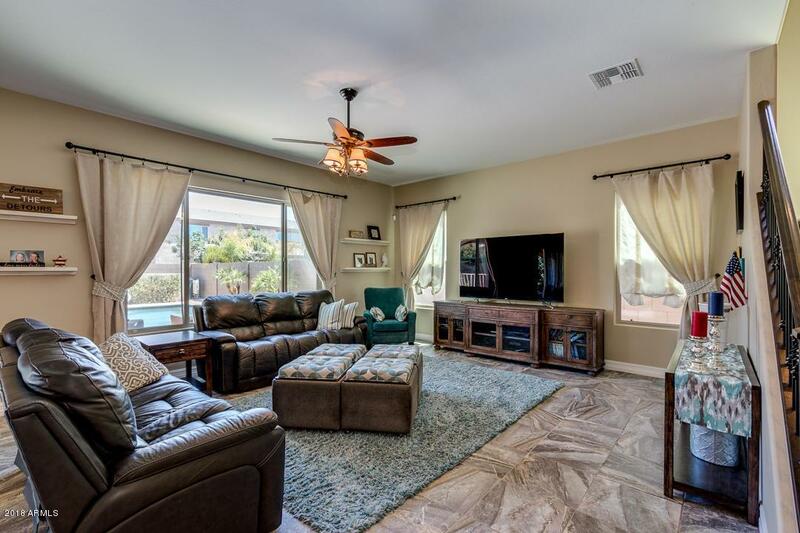 Motivated Seller with this Beautiful Meritage property in the sought out neighborhood of Higley Manor! 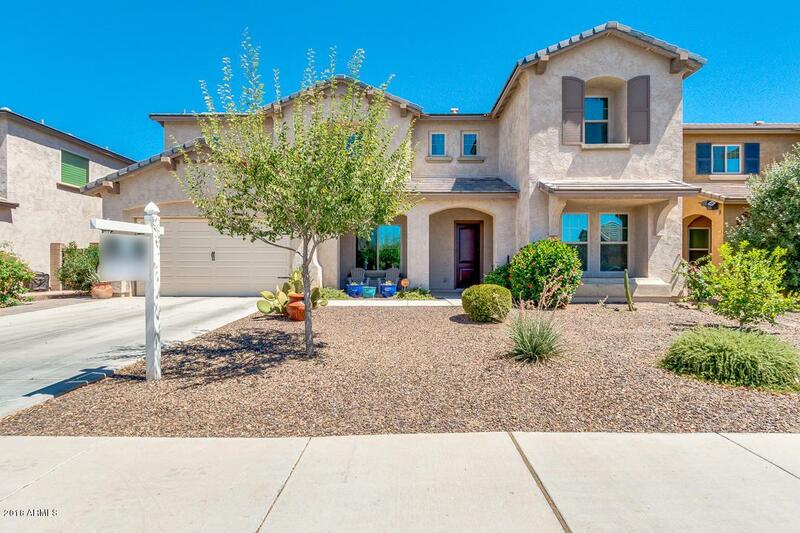 Located within minutes of city parks, SanTan freeway access and the SanTan Mall. 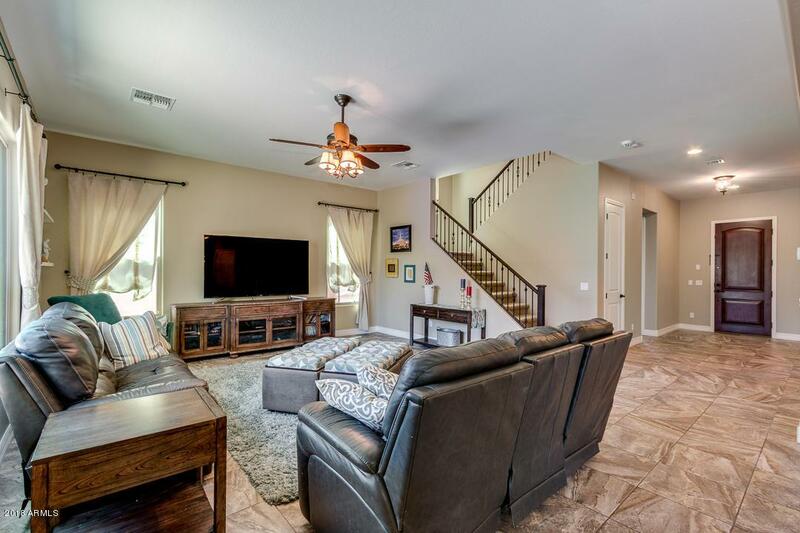 Home is spacious with an open floor plan. 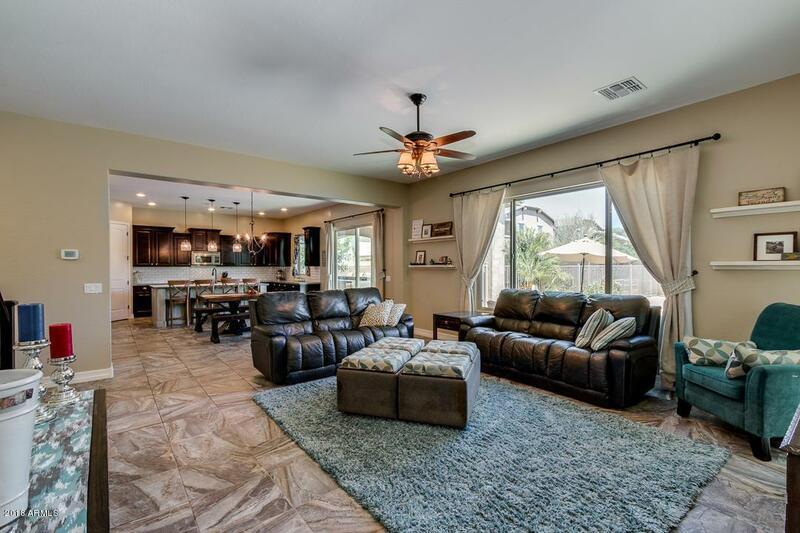 Gourmet kitchen has a large island, a walk in pantry and Viking stainless steel appliances. One bedroom and full bathroom downstairs, with a huge loft and four bedrooms upstairs, including the master suite. Backyard includes a private pebble-tec pool including a waterfall and water slide, an adorable sand area and tree house, and a built-in BBQ, all great for entertaining. Energy efficient! Property has an existing home warranty transferable to new buyer, expiring 12/2018.